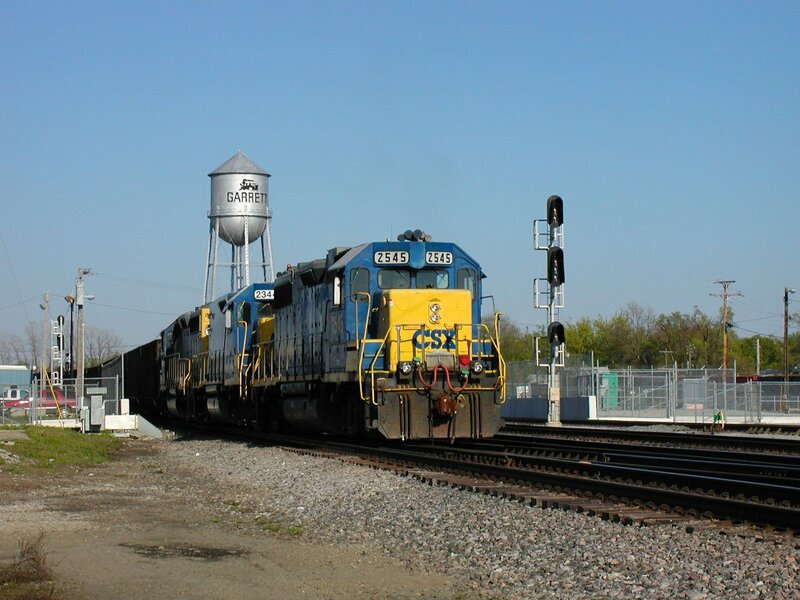 DeKalb County, Indiana located in Northeast Indiana, has played a pretty significant role in America’s railway system. In fact, out of the nine communities in DeKalb, six of them have specific ties to the railroad. Two of the counties (Ashley and Garrett) are even named after former Presidents of significant Railroad Companies during the early 20th century of America’s transportation history. Garrett, Indiana in 1981. 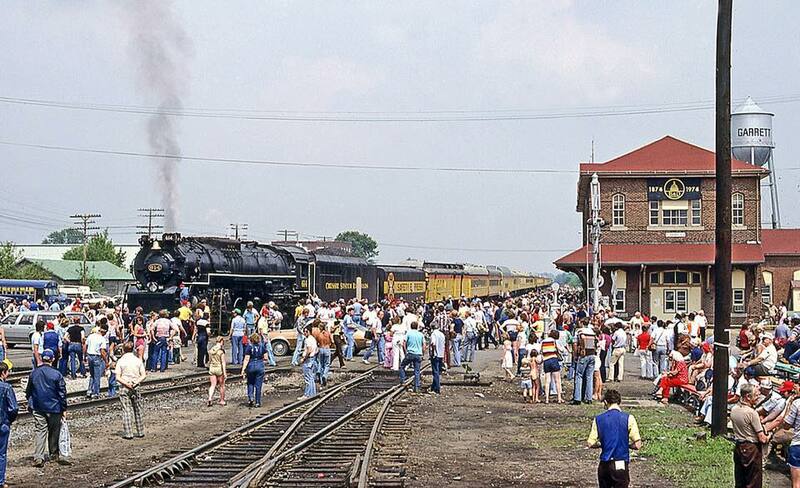 Image courtesy of Tom Farence and the Fort Wayne Railroad Historical Society. The town of Garrett, Indiana is named after John W. Garrett the President of the Baltimore and Ohio Railroad Company from 1858-1884. The town of Ashley, Indiana is named after Ossian D. Ashley the President of the Wabash Railroad from 1892-1902. 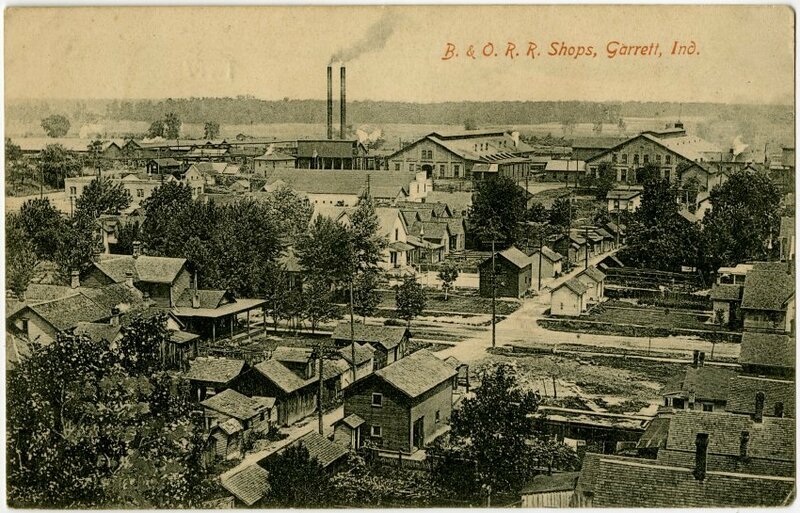 But Garrett was truly the railroad town of DeKalb County, Indiana. The Baltimore and Ohio Railroad expanded its rail line through Ohio, Indiana, and Illinois. 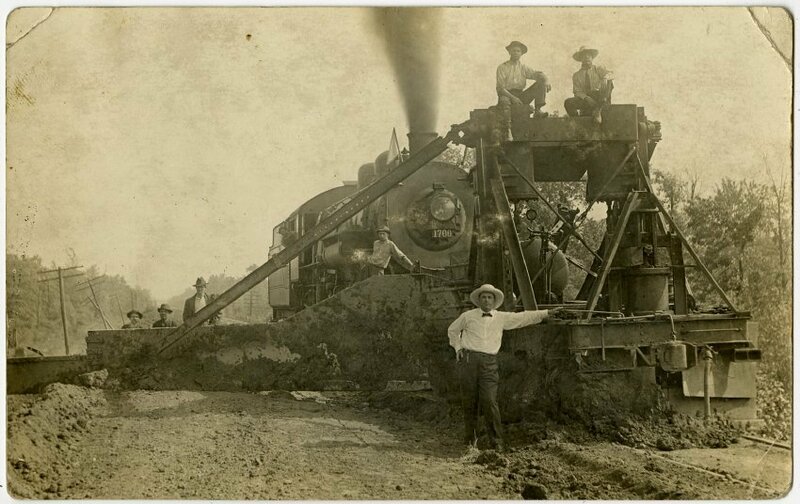 Garrett would eventually become the center hub for the construction and maintenance of steam locomotives. 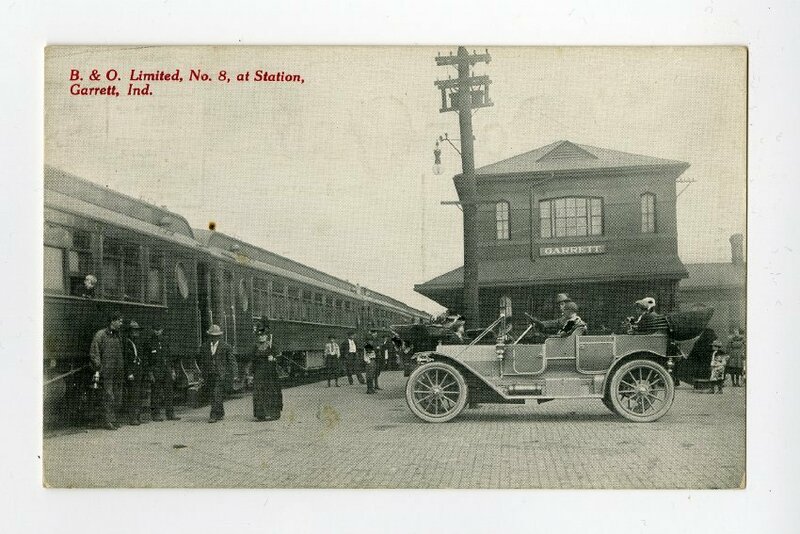 With railway yards and shops spanning almost 90 acres, Garrett played an important part in America’s railway history. B & O Raildoad & Crew, Garrett, Indiana. The Capitol Limited was the Baltimore & Ohio's flagship passenger train between New York City and Chicago, via Washington D. C. Currently, Capitol Limited is now one of two Amtrak trains connecting Washington D.C. to Chicago. Aerial view of Baltimore and Ohio Shops, Garrett, Indiana. Eventually with the popularity of diesel fuel usage for transporting tonnage in the 1950s, the demand for steam locomotives diminished. Ultimately the once bustling yard houses and shops in Garrett were demolished leaving only memories of the past. 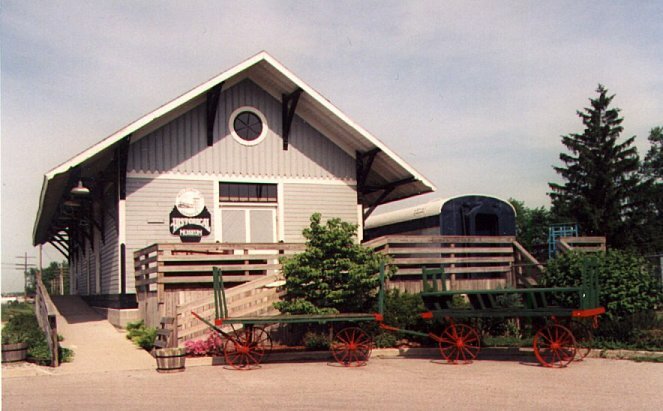 However, there is still a living memory from the past you can visit and that is the Garrett Historical Society Railroad Museum which is housed in the original renovated 1901 B&O Freight House. To learn more about the history of Garrett, or railroads in DeKalb County visit the Genealogy Center, the Garrett Historical Society or our website. *Images courtesy of the William H. Willennar Genealogy Center, a service of the Eckhart Public Library and the Fort Wayne Railroad Historical Society and Tom Farence.